pv magazine Australia: We saw an extremely rapid expansion of the Australian PV market in 2018 — across all market segments. How confident are you that the Australian market can sustain this rate of growth, or even an annual installation rate of around 3.5 GW? Shawn Qu: I would prefer the market to continue, with around 2-3 GW each year. But also, if we can bring energy storage online fast enough, then we would be able to provide a real 24/7 service, and we will be able to maintain the market at this level. I don’t like boom and bust cycles. Looking at all of the [large-scale] project development, there is something like 40-50 GW of projects being developed at present. I think 40-50 GW, Australia can take it, but certainly not in one year. That volume of installations should be carried out over 15-20 years. The pace of installation should be kept in line with the pace of decommissioning of the coal power plants. But for that, it will take 20-30 years. Talking about energy storage, what is Canadian Solar’s engagement with storage? We have a few engagements. A couple of years ago we won a contract in Canada in Ottawa to build a 5 MW energy storage facility — pure energy storage, no solar. This is for Hydro Ottawa. That project was awarded four or five years ago, but we are just commissioning it now. That shows how much of a learning curve Canadian Solar, the utility and the equipment provider and integrator went through over this period. This project was slow, we learned, we will lose money for sure — but that’s okay, it’s a part of the R&D process and the experience gathering [process]. Last year we signed another PPA in California, this time for 185 MWh, or somewhere around that. It will be the largest solar-plus-energy storage project in California, and probably the second largest in the United States. We will deliver this before the end of 2020. That will give us very good experience in how to integrate a solar-plus-energy storage project in an important market, and for a major utility. We are also looking into Australia. My impression is there is a quite significant [level of] requests for energy storage. Hopefully this experience will help us to implement the solution to Australia as well. Is your strategy to work with third-party battery cell and equipment providers? And do you have preferred suppliers? We are working with a few. Let’s put it this way, we are in discussions with a few right now. We are still selecting an integrator and key equipment provider for the Californian project. In the United States and Canada, Canadian Solar has clearly taken the route of developing large-scale projects, alongside selling modules. This is your strategy in the Australian marketplace as well. Why do you feel that is the right strategy? 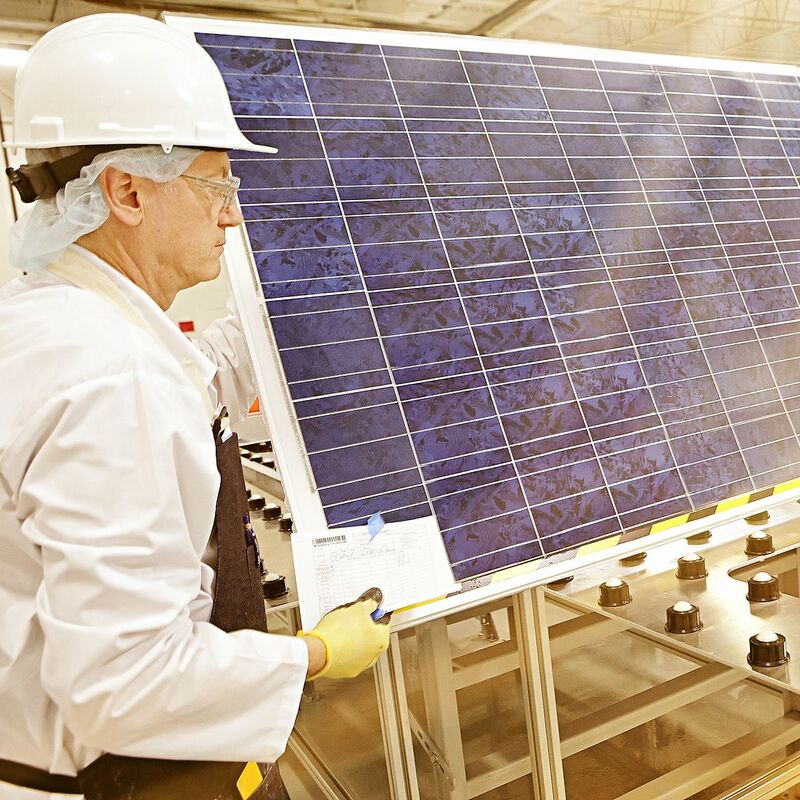 Canadian Solar has been a module technology leader plus a project development leader for 10 years now. We started making solar devices, then solar modules back in 2001 — that is when I started Canadian Solar. But before I did that, I worked in developing solar power projects. During those times, in the late 1990s, the solar projects were off-grid — mainly [for] rural electrification. When I founded Canadian Solar, we were manufacturing, but in 2004 we saw on-grid solar kicking off in Germany, Czech Republic and Spain, and Canadian Solar participated in all of these markets. Through this we gained experience. In 2009, Ontario passed its Green Energy Act and Canadian Solar, with its experience in Europe, became one of the first to develop projects in Ontario. Between 2009 and 2014 we completed around 300 MW of projects, plus providing solar modules and EPC to many other projects. That helped us to gain experience, and helped us to branch out to the United States and many other countries. I think being both… gives us a unique advantage, because we are the first one to understand technology trends. The development of large-scale solar power plants is a long-term process. From greenfield, finding a good piece of land, permits, interconnection, environmental permissions, to then submitting the project for bidding or auction, getting a PPA, and then financing, the process can easily take years. To be able to somehow focus where the technology will be in the future, the module efficiency, the cost down the road is very important and very beneficial for Canadian Solar. We have these insights, because our research laboratories tell us what will be commercialized four or five years down the road. But are there challenges with cash flow, and managing the manufacturing and project development business models simultaneously? I would think that manufacturing has a different cash flow to project development. There are pros and cons. On the pro side, it actually helps. Comparing Canadian to other project developers, for example in the United States. There are other countries which are pure project developers, and they do a good job and I respect them. However, they don’t have the balance sheet of Canadian Solar. When you move to the mid-stage of project development and you have to put down the performance bond or for the interconnection or energy auction, you need to have a big bank facility. This does not have to be pure cash, but you do have to have the bank facility. Canadian Solar, with the balance sheet provided by our manufacturing business, gives us a very strong bank relationship and also balance sheet. Many other developers don’t have this balance sheet. Sometimes they can complete the greenfield stage, and they work with us in JV for the mid and downstream stage. There are also cons. Project development does require capital investment, so we have to balance how to allocate cash to particular parts of the business within a particular year. We do have to watch the cash cycle. Canadian Solar has been in the industry for 18 years, and we have learned a lot. We have been managing that well. Not every market, I would say key markets. And what makes a key market? Australia is clearly still one of them, given the pace at which you’re acquiring projects and also signing EPC and module supply agreements. G20 countries are the first criteria. But it is more than this — there are some developing countries that still have stable politics, a banking system, and the country allows foreign capital to flow in and out. Those are the key factors. Where we see those ingredients, we will put our resources in that market. Policy is very important. Also, typically a strong electric grid is important — Canadian Solar can’t do everything. If there is strong curtailment [of PV project output] we have to wait. Of course, you usually find all of these ingredients in G20 countries, but we do have a foothold in a few developing countries, too. In saying that, we can’t be everywhere. Looking to the solar module business, in 2017 we sold to 165 countries. But for project development we cover 10 to 15 countries.